This is a delicious herbal tea which has been known to help get a good night’s sleep. Bring the water to a rapid boil. 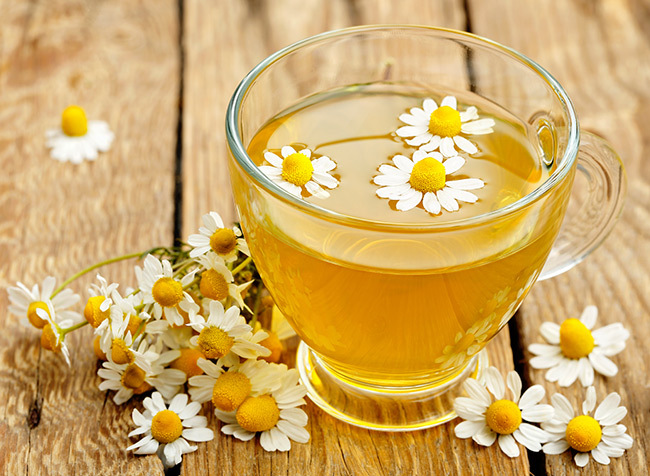 Add the chamomile flowers. Boil about 4 to 5 minutes. Turn off heat and allow to steep another minute. Pour through strainer into 4 cups. Serve hot with honey or sugar on the side. *If using dry chamomile in bags, two bags will be good for this recipe.